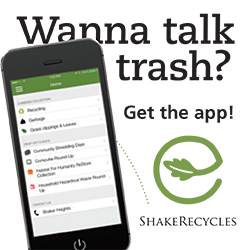 Home/Schools/What Did You Do Last Summer? For many students, summer break is defined by free time and long, easy days. But for others, summer presents an opportunity to develop their personal interests and skills. 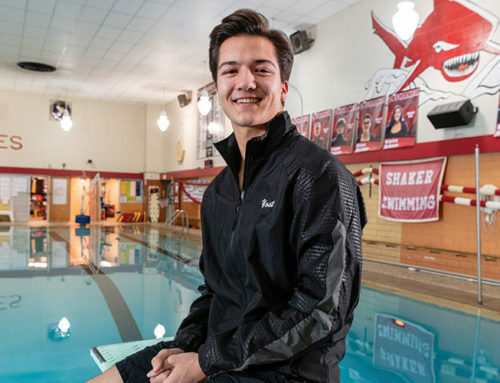 There’s a Clark Kent quality about Shaker Heights High School senior Leo Schirokauer. For nine months of the year, he spends his days hustling through the High School halls, bouncing between classes, balancing homework and time with friends and family, just like any other student. Then in the summer, he swaps his backpack for a lab coat, arriving every weekday at the Wolstein Research Building on the campus of Case Western Reserve University, where he is working to develop a treatment for American Foulbrood, a disease fatal to honey bees. If he’s successful, he’d be an entomological Superman to an insect that’s an integral (and increasingly fragile and vulnerable) member of the agricultural industry. 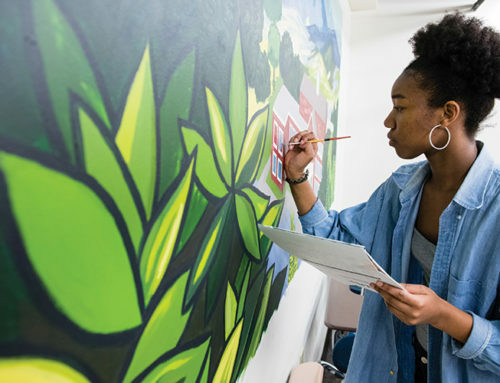 Leo is among Shaker Schools’ motivated students whose summer experiences may not be typical, but are self-initiated and learning opportunities for them nonetheless. Leo Schirokauer wasn’t always interested in bees. In fact, he was terrified of them. 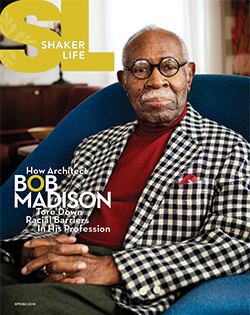 But when Leo was a fourth grader growing up in Oberlin, a librarian brought her hive into school. She explained the complex nature of hive life and Leo found himself enthralled with bees. Leo channeled that interest into a Lorain County Beekeepers’ Association essay contest that asked local children to answer the question, “Why I want to be a beekeeper.” Leo won. His prize was his very own hive. Leo already had an interest in science, but tending to his hive of 60,000 bees, harvesting their honey, and running a bee balm and wax business piqued his interest in his buzzing friends even more. He grew increasingly interested in biology, so in the summer after his freshman year, he sought out an internship at an entomology lab at Case, and then the summer after his sophomore year, he interned at another lab with a focus on molecular biology. “At some point, it seemed natural that the practical side of being a beekeeper should relate to the underlying biology of bees, so then at the end of last summer, I had an idea for a treatment for American Foulbrood,” he says. paratransgenesis, a technique that uses genetically modified bacteria to deliver an enzyme that would kill the bacteria that causes American Foulbrood. Leo had to find a lab to support his project, then funding, and then intellectual property protection. By February, he’d managed to find all three and was able to visit the lab a few times a week after school. With full work weeks at his disposal over this past summer, Leo was able to make a lot of progress on subcloning, or preparing, the DNA, and then on placing it into the species. His goal was to have an in vivo proof of concept by the start of school. 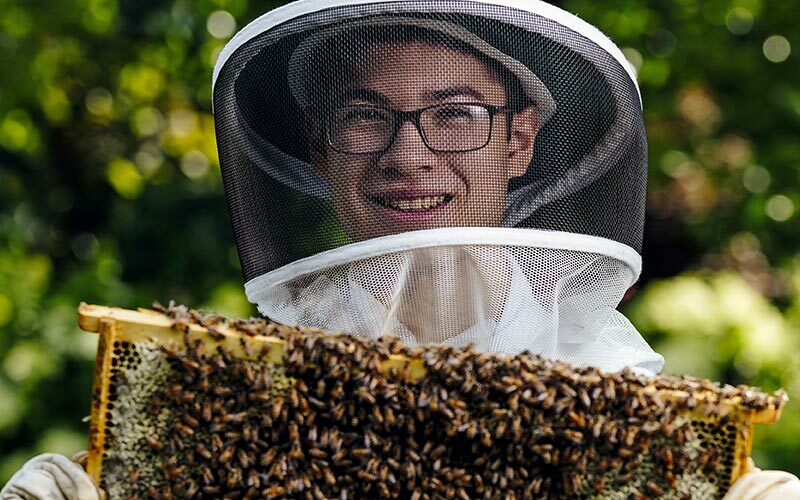 Between the work in the lab and doing publicity for his project – including speaking at local beekeeping events, doing an interview on Fox 8’s Morning Show, and helping to organize a Pollinator Day event – Leo says his summer was all about bees. 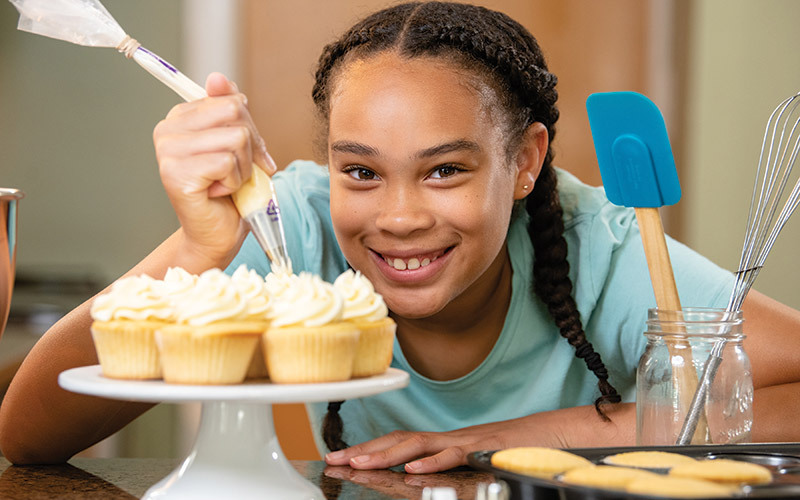 Shaker Heights Middle School seventh-grader Kimora Langford spends her free time in search of her personal sweet reward: baking and selling the perfect cupcake. With two well-received expanded offerings under her belt, Kimora set her sights on a new goal for the summer of 2018: find tasty recipes for gluten-free chocolate and vanilla cupcakes. She began the summer selling cupcakes at a Young Entrepreneur event in Shaker (she sold out), and then she was asked to prepare cupcakes for two private parties. 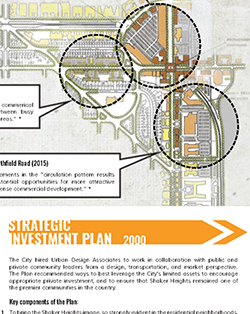 But a Farmer’s Market event on the West Side at Crocker Park introduced her to the idea of collaboration. “There was a vendor there who sold gluten-free products. My dad and I started talking to her and she said that we could use her fl our, so we’re thinking about maybe partnering with her,” Kimora says. That encounter got her to thinking about partnering down the road with other small businesses whose products complement her own. Kimora estimates she spent about 1-2 hours a day researching better baking techniques on YouTube and Pinterest, and about a dozen hours (give or take) each week on her business. That left her with ample time for friends, theater camp, dance class, and easy summer days. 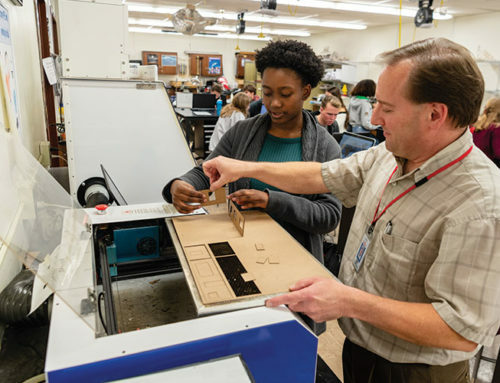 Now that she’s back in school, Kimora says that she’s always looking for connections between what she learns in the classroom and how she can apply that to her business. Sophomore Alexa Clawson started her summer on a high note and held on to it for the next 10 weeks. 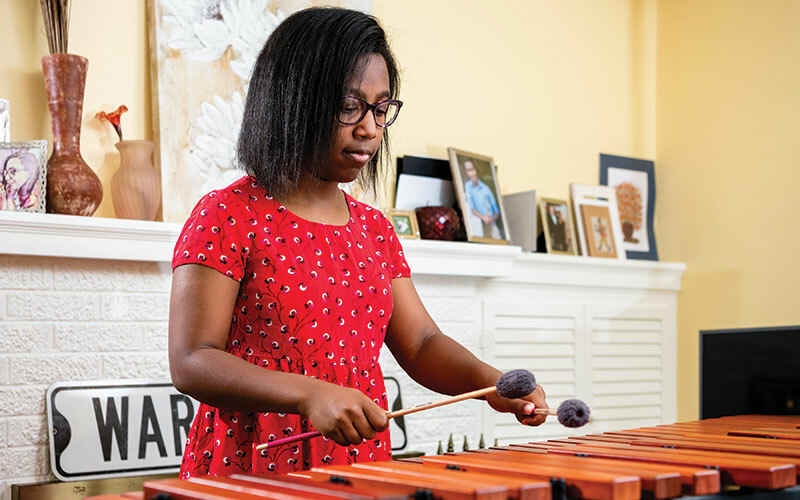 In early June, the 15-year-old sophomore learned that she’d successfully become a member of the percussion section of the prestigious Cleveland Orchestra Youth Orchestra. Later in the month, she traveled with the Cleveland Youth Wind Symphony to Italy, where for nearly two weeks she explored the country with her fellow symphony members, performed in several local concerts, and played in the Florence Youth Festival. She spent the balance of her summer prepping for her school year music commitments (she’s a member of the Shaker Heights High School Marching Band and the Wind Ensemble) and practicing for her Cleveland Orchestra Youth Orchestra chair placement audition in August. Alexa is grateful for the opportunities she’s earned and engaged in over the summer. “I know that experiencing these things when I’m younger prepares me for what might come my way in the future,” she says. Since High School junior Molly Harper was nine years old, she’s spent six weeks each summer away from her family at Culver Summer School and Camp in north central Indiana. At first, Molly wasn’t so sure about Culver. “I was homesick, but I kept going back and I made friends and kept myself busy,” she says. Eight summers later, Molly is hardly the shy, tentative girl who first went to Culver in 2011. 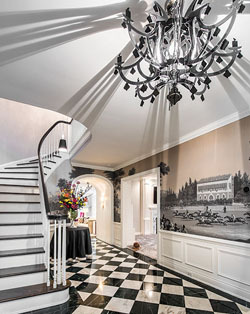 During the school year, Culver is a college prep boarding school that includes a military academy for boys as well as a girls academy. The summer program is dedicated to building leadership qualities in its campers, educating them about chains of command, similar to the U.S. military. 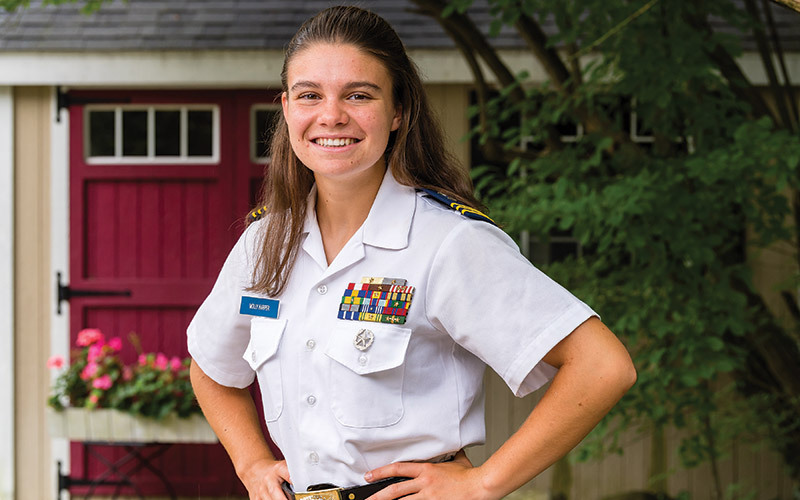 Now in her final summer at Culver, Molly says that her experiences there have boosted her confidence and self-respect and opened her eyes to what’s possible in her adult life. She also credits Culver with many of her academic choices. For example, Molly has taken Spanish because she’s made friends at Culver from Mexico and Colombia. This year, many of her international friends will also share an academic experience with her, as candidates in the International Baccalaureate Diploma Programme. “We plan to compare notes over the year,” she says.